How to find work in the UK, including information on the current job market, job vacancies, British work permits and where to find a job in the UK. If you’re looking for a job in the United Kingdom, here’s a guide on what you need to get started on your UK job search, including information and advice on what jobs are available and where to look to find job vacancies in the UK. In addition to the general tips included in this guide, you can also read about finding a job in London. The UK has the third largest economy in Europe and an unemployment rate of 4% at the end of July 2018 – the joint lowest since 1975. According to the Office for National Statistics, there are just over 3.5 million non-UK nationals working in the UK. However, although there were 74,000 more non-EU nationals working in the UK in the last year, the number of EU nationals in jobs decreased by 86,000 in the same period. This is the largest annual fall since records began in 1997. Economic growth is concentrated in London and the southeast; unemployment is higher in the north of England, Scotland, Wales and Northern Ireland. The London jobs market is booming with 10 times more jobs on offer than the next best area of the country but of course, there’s a lot more competition for those jobs. If you want a professional or well-paid job then you’ll need to speak good English (and having a second language also gives you an advantage). It’s easier to get a job if you don’t need a work permit. It is relatively easy to get part-time or casual jobs but the pay will be a lot lower. If you are a scientist, any type of engineer, in IT (architect, analyst, designer, programmer), an environmentalist, medical practitioner, science teacher, chef, professional orchestral musician, or dance choreographer, then you will probably find it easy to get a job in the UK, as these occupations are all in short supply in the UK. Click here to see the up-to-date official list of shortage jobs in the UK. Hospitality and retail have a high staff turnover so there are often vacancies in these sectors. Most UK companies still have distinct hierarchies with managers making most of the decisions and being very firmly in charge of teams of employees. Leading a team efficiently and having a good relationship with the staff are considered important management skills. Teamwork within the team is highly valued. It’s common for staff to go out for a drink at a pub or bar after work. You can read more in our article on business culture in the United Kingdom. The British like meetings; lots of them. They are usually planned in advance with a set agenda and while they can be informal in tone, everyone leaves with a specific task. The low key, ironic British sense of humor with its understatement and euphemism is often used in the workplace to indirectly express criticism or prevent embarrassment and can be initially hard for foreigners to understand. The British are polite but fairly formal and logical; pragmatism is favored over excessive red tape and bureaucracy. The annual budget is the focus of organizational planning. Reaching or surpassing targets may be rewarded with bonus payments. It’s common for managers to work through lunch or take work home. You may become aware of ‘class distinctions’ shown mainly by a person’s accent, education and their appearance and behavior in the workplace. Networks from the historically elite schools (such as Eton) and universities (like Cambridge and Oxford, sometimes combined as ‘Oxbridge’) – the so-called ‘old boys’ club’ – still play a role in some sectors like the city, law, politics, and sections of the media. Men still dominate higher management positions. If you speak another language other than English, you’ll have a big advantage over many British applicants – most of whom will only be able to speak English – but you will almost certainly need to be able to speak English yourself to get a job in the UK. To get a visa to come to the UK to work, you may need to prove your English language proficiency anyway. If your English needs improving, consider taking a course run by a language school. The UK Border Agency has a list of language tests that meet the Home Office requirements. There is a shortage of language teachers in the UK. If you hold a university degree and can speak English well, you might be able to take a post-graduate course to allow you to teach your mother tongue in an English school or college. See here for more information. You can find out how qualifications awarded in your home country relate to British qualifications through UK NARIC. If you want to know if your professional qualifications are recognized in the UK, contact the relevant professional body. You should make sure any references or testimonials are translated into English. If you’re from the European Union (EU), European Economic Area (EU plus Iceland, Lichtenstein and Norway) or Switzerland, as long as you have a valid passport or ID card, you currently don’t need a visa to come to the UK or a work permit to take on employment in the UK, although this may change after March 2019 when the UK is due to begin the process of leaving the EU. There were restrictions on Croatian nationals coming to live and work in the UK but these ended in June 2018. See here for information. If you’re not from the EU/EEA or Switzerland but you’re living with a partner or other family member who is, then you can apply for a residence card which shows employers that you’re allowed to work in the UK. See more in our guide on EU citizens and families moving to the UK. You’ll probably need a visa to come to the UK; apply at the British embassy or consulate in your home country. If you want to work in the UK you will have to have a work permit. Your employer in the UK has to apply for a work permit on your behalf relating to a specific workplace. There are different types of visa to come and work in the UK, depending on your qualifications, area of work, your skills, talents, and age; each visa has different conditions and may require you to pass a points-based assessment. For example, you may have to be a graduate, have been already offered a job in the UK which cannot be filled by someone else from the EU/EEA/Switzerland, have a licensed sponsor (see a list of registered sponsors here), or prove that you have a good knowledge of English by taking an exam or having a language qualification. Students can work as employees, although not as self-employed, for up to 20 hours a week in term time (more if the work is part of the course) and outside term time as long as the position is not full-time or permanent. Ph.D. students can stay in the UK and look and start work in the UK for a year after their studies end. Check our guide to work visas and permits in the UK for more information. Check out Expatica’s UK job pages to find a constantly updated selection of jobs throughout the UK in a range of different sectors. If you’re from the EU, EEA or Switzerland, you can still currently look for a job in the UK through the EURES (European Employment Services) website. EURES is a job portal network that is maintained by the European Commission and it’s designed to aid free movement within the European Economic Area. As well as looking for work, you can upload your CV and get advice on the legal and administrative issues involved in working in the UK. EURES hold job fairs in Spring and Autumn. 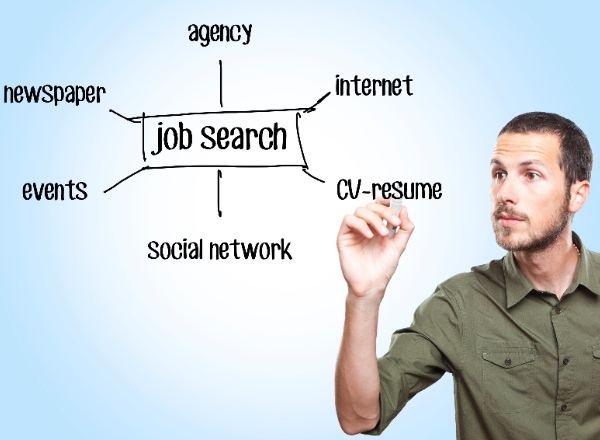 Universal jobseeker – government-run online search engine for jobs throughout the UK. There are also JobCentres on the high streets of larger towns throughout the UK where you can browse job vacancies in person. Most recruitment agencies specialize in a particular sector like IT, retail, childcare or secretarial. Some agencies are ‘headhunters’ who are employed by large companies to recruit executives and professionals on their behalf. Others are ‘temping’ agencies who can help you find temporary work in offices and retail, for example. Look at the online phone book under ‘recruitment consultants’ or at Agency Central or Recruitment Search. The Guardian newspaper is one of the best sources of graduate and professional jobs, especially in the arts, culture and media, marketing, government and politics, housing, social care, environment, and education. Look online for jobs across the sectors; the print editions focus on a different sector each day. Also for professional positions, check out The Telegraph. See online jobs at The Big Issue for employment in the charity and not-for-profit sector around the UK. For London-based jobs see the Metro. Have a look on company websites for available vacancies and also for the information you can use in making a speculative application. You can find out background information about the company and its rivals, as well as the name of the right person to contact if you’re making a direct approach. Look for the name of the person who’s responsible for making decisions about hiring or the budget, not the human resources or personnel office. If the name is not on the website, send an email or phone and ask. Look for job vacancies at your home country’s embassy or consulate in the UK. Whatever the job, you are sure to need a high standard of spoken and written English. Networking is very important in the UK as many jobs are filled by word of mouth and are never advertised. So make as many contacts as possible. Join the professionals networking website LinkedInand connect with others in the same field (trawl through your contacts’ contacts and ask for introductions). You can also look for networking events near you. Another option is to join – or create – a meet-up group with like-minded people. Lots of people get jobs in the UK by approaching a company or organization speculatively, or ‘on spec’, but make sure you do your homework, research the company and tailor your application appropriately. Don’t just send a standard CV and covering letter: read about how to apply for a job in the UK. Put yourself out there – virtually – with a dynamic online profile and a CV that employers can easily download. Make sure you use lots of keywords relevant to the type of job you’re looking for in the profile and filename so that employers see your profile first (look at other people’s CVs and profiles to help you draw up a list). Use a PDF or compatible format so it’s easily accessible by as many employers as possible. Once you’ve compiled your profile, download and print it out yourself to make sure it looks how you want it to look. Once you’ve found a job in the UK, you need to prepare your application. If you get through to the interview stage you’ll need to know what to expect in a British job interview, and what to do – and not to do – during the interview. This entry was tagged jobs in the UK, UK jobs, Work in Uk. Bookmark the permalink.